“‘Spark joy’ What on earth does that mean?” If you have absolutely no idea why we ask this question, then sit back and let us introduce you to Marie Kondo and her famous tidying up technique. Marie Kondo, a Japanese organising consultant and bestselling author, has written several books on organisation. Her books have sold millions of copies and have been translated from Japanese into several languages including Korean, Chinese, Spanish, French, German and English. Her popularity in the UK has undergone exponential growth through her Netflix programme ‘Tidying Up with Marie Kondo’. Despite it only being the third month of 2019, this programme has already been named Netflix’s most unpredicted success of the year. “A programme all about tidying up? Really? How boring!” we hear you say; however, you will be surprised how addictive and almost life-changing this programme can be. Marie Kondo’s tidying up technique has inspired the world to take part in a de-clutter trend (oh, and a Netflix binge)! Marie Kondo advises messy homeowners to simply say “goodbye” to items that don’t ‘spark joy’ in their life – ultimately de-cluttering their home and lives. This programme emphasises that tidying up can be easier if you follow a structure; it can even be a therapeutic process, as you are urged to express appreciation for your once purposeful belongings before you retire them to the cutting room. Marie Kondo’s holistic approach to the ‘strategy’ of tidying up can be applied to your social media marketing strategy. If you start by mapping out everything that you want to include and achieve, then you can start to build a successful, organised game plan that works for you and your company. This should help you generate a holistic view of your strategy and how each tactic and decision you make is contributing to the next phase: thus, it can also help you to spot tactics that might be hindering your performance. So, let’s take Marie Kondo’s approach, shall we? Does your company’s social media ‘spark joy’ to your target audience? When you see your social media posts, are you proud of them? From an outsider’s point of view, would they stand out on a crowded newsfeed? If the answer to any of the above is “no”, then we think it’s time to thank your social media for its time – delete the unnecessary (don’t go on a frenzy, as Marie Kondo advises against this), make steps to refresh your content, and move on with a well-conceived cleansing process. This is the first interaction the potential customer has with your brand or company, therefore it is your decision to inspire, educate or entertain them from the get-go. This decision can be based upon the objective, content and what you aim to achieve from posting this content. The customer has reached the Think Stage, which means they are actively thinking about your company without being promoted. This is a huge positive for your company and, of course, the marketing team. So, to develop customer interaction we must decide how next to ‘spark joy’ by taking responsive action that is pertinent to your business’ values and reputation. You must make this decision, bearing in mind who your audience are and what your customer persona is. For example, a corporate law firm at this stage would not try to entertain a potential client with an animal meme, even though we might all have a soft spot for animal memes, this is quite clearly an unsuitable marketing strategy in this field of business. One way to convince your customer at this stage could be by outlining the advantages of choosing your services and how these can benefit the potential customer; these advantages may just prove to be the icing on the cake. Tip – You can always make posts more engaging by using strong visuals, infographics and professional photography. It is proven that when faced with text or images, 65% find the visuals more memorable. If we were to consider this stage as a room, Marie Kondo would believe this to be in very near perfect condition – the polishing stage, as it were. Here, we are only left with the refined ideas that ‘spark joy’. In marketing terms, the customer is very close to purchasing what we are offering as a result of this journey: we have inspired and educated them with our perfectly driven content. Tip – This stage might be a great opportunity to post a questionnaire, educational graphic, or anything of interest to spur them towards the purchase button. This is all about adding that little bit of unexpected value. In a Marie Kondo scenario, the room (or stage) is now spotless; we have scented candles smouldering, fairy lights glowing, and a cake baking in the oven. The joy is well and truly sparked. In our social media ‘room’, the customer has interacted with the content we posted, has been charmed by our driven content, and has made a satisfied purchase with your company. So, what do you do now? Move on to the next customer? Or leave them with a small unexpected gesture that adds further value to the whole process for them. We personally think the second option is the ideal route to take for any business trying to make a lasting, valuable impression on new potential customers. Hopefully a strategy Marie Kondo could be proud of: a holistic approach that can generate great social media content – just small touches that can make a huge difference. Let’s start by explaining what school marketing actually is. School marketing is defined as ‘the means by which the school actively communicates and promotes its purpose, values and products to the pupils, parents, staff and the wider community’. Where a large amount of businesses do realise the importance of marketing, it is also this area that sees the most cuts when delegating financial funds; marketing can be considered as a lesser priority so it is common for schools in particular overlook their marketing when dividing up their budget. However, if it is true that marketing and design are less important ingredients to thriving business, ask yourself – why do private schools need to bother investing in it? If a private school can effectively articulate its purpose and values without marketing and creative design, is there a need for it at all? Firstly, let’s talk about what happens when minimal financial resources are devoted to the art and science of marketing a school. It’s true that the school might save itself the time and effort of creating a marketing strategy, but without it, this short-term satisfaction can become a long-term problem – as a result of no marketing, you may find your school undergoing a downwards spiral in exposure, and most importantly, a decline in enrolment figures. By changing your mind-set on marketing and by addressing the challenges of competition, recruitment/retention and tighter budgets, you could actually give yourself the ability to really take care of your brand. By hiring a specialist in this field, you are able to trust in how your school will be perceived. 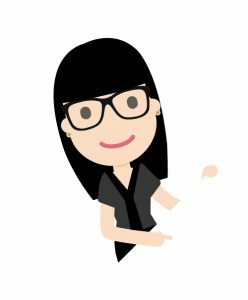 This professional will not only understand how to regulate your branding, but can also tell your school story, emphasise your values, and portray exactly what makes your school unique. Investing in marketing does not mean that your school will be harassing or imposing upon prospective pupils and their parents in order to increase enrolment figures – in fact, it actually means that your school can connect with them more easily, through shared values and by behaving as an aid in the difficult process of choosing the right school. The extensive selection of public and private schools can make it even more difficult to stand out and ‘win over’ prospective pupils and their parents. Private schools in particular can no longer rely on their legacy alone to outrank competition (after all, there are also the education fees to consider), but by using marketing as their skeleton key to success, private schools can secure those all-important relationships and connections with their target audience. So why shouldn’t all institutes not aim for this effect, regardless of public or private education? It could make all the difference. But how can you stand out? In order to keep up to date with competitive schools, we suggest that you manufacture a strong brand alongside your respectable school heritage. Here are a range of cost-effective ways that you can help your private school invest in print and design which can increase your school’s enrolment figures. Think about your current marketing material and prospectus. Does it invite you to pick it up? If you had a pile of prospectuses under your arm, would yours make the final cut? Or would it not even get a second glance? 56% of consumers state that print advertising is still the most trustworthy type of marketing and that readers engage more with a printed prospectus. According to Forbes magazine, consumers are spending 20-30% longer reading text as opposed to an online alternative. This means you have 20-30% more time to really engage with that consumer and show them exactly what makes your school different. For many years, we have specialised in offering an extensive service to the educational sector. This has resulted with us now working with a large amount of private and public schools within the UK. This cohesive partnership with the education industry has allowed us the ability to provide expert marketing, design and print advice. Your school would be offered a tailored, bespoke package and advice to enable you to be noticed, trusted and engaged with by the right audience. Although your private school may have well-respected heritage, would you say that is reflected in your branding? Whilst we are aware that there are many elements to why students and parents choose certain schools, we are also aware that a school’s brand and marketing plays a massive part in this decision. Therefore, it is crucial that your branding and marketing material reflect your school’s values, background and history, as this is your way of standing out from the competition. The capabilities we have at Media Village make it easy for us to produce your educational materials. We can make sure your brand is successful and meets the public at every point of contact, including external signage, websites, prospectuses, letterheads, social media, logo design and much more. Storytelling through branding is more important today than ever before; with the average person viewing 100,000 digital words every single day, a refreshing narrative behind a brand can really stand out. Famous brands like Coca Cola and Marks & Spencer have been using the art of storytelling to their advantage for years now, and to great success. We have proudly worked closely with Westholme School for many years, and the relationships we have established helps us to deliver their story in exactly the right way, to exactly the right audience. Our cohesive relationship with Westholme guarantees that we are working together and remain united in the pursuit of a common goal. 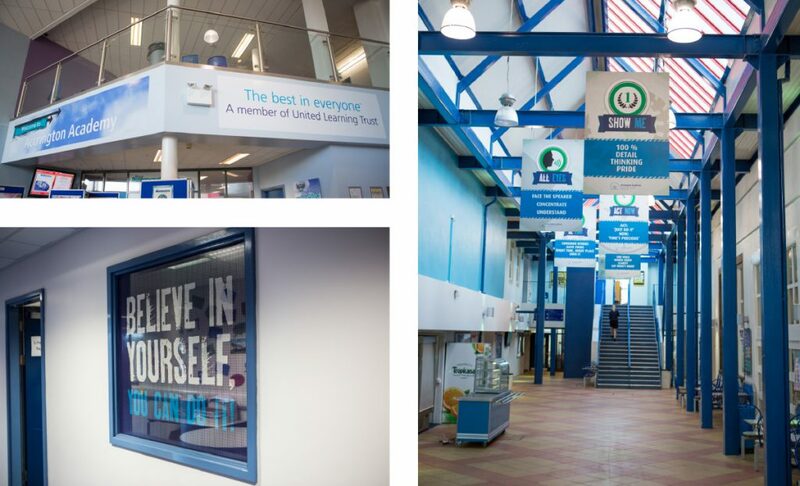 One of the main aims at Westholme School is to support each child in fulfilling their full, individual potential; the journey of a Westholme pupil, from 3 months old to age 18, is a unique story in itself… and one in which the school has invested its all. Therefore, we have created marketing materials in various forms that inspire and motivate pupils to succeed, with choice wording such as ‘flourish, cherish’. Photography and eye-catching visual content generate more engagement and attention online; as we are a very visual society, it is the perfect way to communicate. With millions of images being posted on the web daily, your school’s need to be the ones to stand out against the rest. With this in mind, the type of image you choose to illustrate your school’s name and reputation has the potential to attract new customers or instantly turn them away. We always think about the relationship between your content, your imagery, your school brand, its narrative and your target audience before we even press a button on the camera. We offer as much time as needed at your location to enable us to really capture the perspective of school life. However, we always consider the information we have gathered and the main objectives of your marketing when taking pictures. Therefore, if your school aims to focus on extra curriculum activities, then we would tailor the photographs to portray this. Vast amounts of potential pupils, their parents and family members visit your school on one appointed day. You would be crazy not to make the most of it! So, it’s time to shout about what makes you unique – show off your branding and make your school open day more memorable than any other. 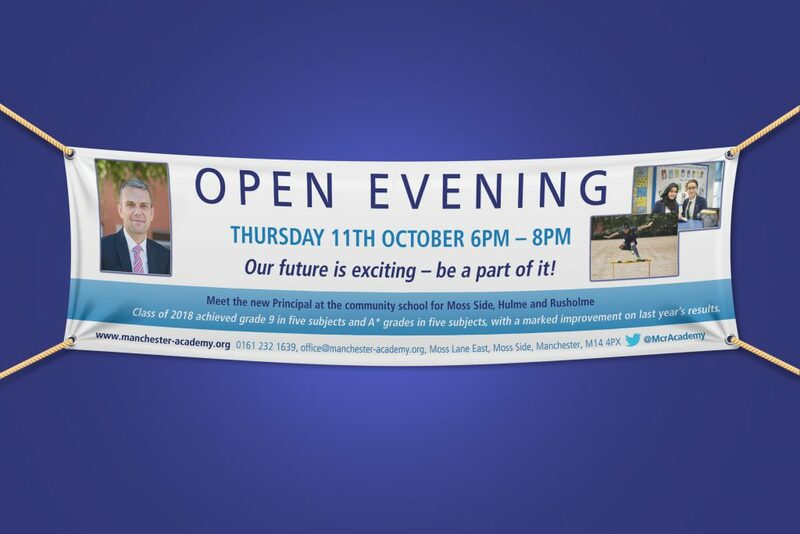 You can do this by investing in open day banners, roller banners that showcase your school’s impressive achievements, and any other effective marketing materials that will help your day be a huge success. (We can also offer you all of these services in-house). Marketing your school effectively allows you to learn how to position yourself successfully within the education market compared to your competition. It uses your unique attributes to communicate to the market, boost your reputation – and drive applications and enrolment figures. Finally, by investing in marketing, design and print, schools can develop a better understanding of its current parents’ needs and underlying motives for sending their child to their school, as well as interesting the types of parents the school is not currently attracting so that you can determine target segments for future marketing communications. We understand – particularly when it comes to small businesses with limited resources – that when times get tough and businesses are forced to make cuts, it’s often the creative budget that faces these cuts first. Unfortunately, companies often fail to see how investing in their creative budget can, in fact, help achieve the goals they have thus far prioritised – failing to recognise that the department of design and visuals can actually be the difference between ‘mediocre’ and ‘great’. Studies have shown that visual appeal can influence us within about 50 milliseconds. In brief, this is how quickly a designer’s content must impress. To get these results, your company would benefit from working with a professional designer, meaning that you will have the chance to seek their expertise to ensure your brand message is perfect. Additionally, we believe that your design should support the principles you have built your company around, and strive to reach your customers’ hearts (rather than just their wallets)! You may think: “I already understand my company ethos, know our goals, and have no problem discussing these with the customer”. Nonetheless, a visual aid could be the difference between just you understanding your goals and everybody else understanding them, exactly as you want. The majority of us are visual learners. 65% of people agree that they grasp concepts more easily with a visual accompaniment. Used in this way, design can ‘simplify’ communication in branding; making obvious who the design is for by appealing to its target audience, and allowing the design the ability to attract the right attention in the right way. For example, you may have a product intended for the adult market – but if the wrong design is covering the product, this can mislead your audience and really become a problem. According to Adobe, over the span of 10 years, companies with strong designs outperformed those with weak designs by 219% on the S&P 500 Index (a stock market index), so the numbers truly are in, design sells. You may have heard of the concept “eat with your eyes”. Though eating stimulates many senses, sight is actually a huge part of influencing decisions when it comes to food, and this does not go unacknowledged when marketing the food on the shelves at supermarkets. The question is: how do we make our products appealing, when we can’t plate them up? The truth is that you really can take advantage of packaging and design just as much as supermarket products do. In fact, most products can be marketed and designed in alignment with this “eat with your eyes” concept. This is how we can aim to inspire purchase behaviour and even evoke positive emotions towards a brand. We have also worked with a diverse collection of businesses within the food industry towards creating packaging/branding that is unique on the shelf, helping it stand out. 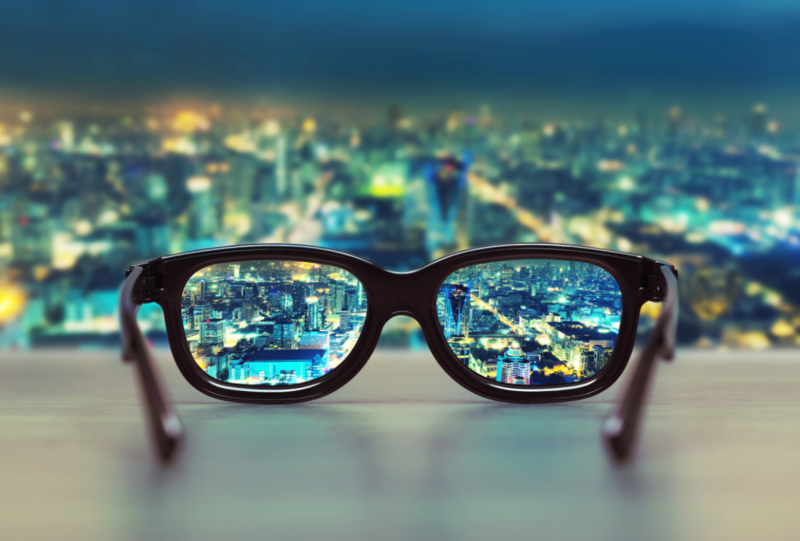 Food for thought: people remember 10% of what they hear, 20% of what they read, and 80% of what they see/do. So why not consult our expertise in design to make an impact on your customer’s perceptions of a product, and target your audience in exactly the right way? 3. Good design keeps your brand memorable. Let’s consider a brand that has generated a memorable design: Pantone. Pantone, a simple colour matching brand, has developed a distinct design style that makes them iconic, creating memorability and awareness for the brand. Pantone developed it’s distinctive, memorable brand by becoming the universal language of print and colour. They noticed how difficult it was for designers, ad agencies and printers to communicate exact colours, therefore they became the go to brand that provided the solution to this. Now, think of your business design as a handshake: the first impression between two people – in this case, your business and your customer. Does the experience make them smile or frown? Do they say “hi”, “hello”, or “good day”? Is the handshake firm and formal, or warm and friendly? Within the digital era, design sits at the core of amazing brand experiences. Companies are realising that by embedding design into business practices, they are actually encouraging deeper customer loyalty, ultimately making a positive impact on their business’s performance. Today, most businesses have some form of online presence. In fact, it is more likely that you will first encounter a business online; therefore, the impression your website makes and leaves is more important than ever. But how do you leave a good impression? By investing in good design, of course! The kneejerk reaction to a badly designed website is often to not trust it, let alone bother reading on. Even in cases where the user has found the smallest detail of the web design not to like, the site is often not explored further than the homepage. Ultimately, this affects business success and the sales of your product/service. According to a study by Microsoft, the average human attention span has declined by 4 seconds since 2000. Shockingly, the attention span today is said to be only eight seconds – whereas even a goldfish can manage nine! If the customer cannot find what they are looking for within this window, a poorly designed website can hinder all your chances. Therefore, by displaying a strong brand identity and ensuring this identity is consistent across all of your platforms, you can continue to secure customers, attention and trust. We want to help your brand be accessed across a variety of marketing platforms, whether printed or digital. Our in-house graphic designers always strive to create a consistently high quality brand image for every customer we deal with. Additionally, consumers who come into contact with the brand identity you have established (whether it be your logo, type font, or brand colours) will, with the correct design, be prompted towards the desired emotional response to your product/services. It might make all the difference. Have you ever bought a product simply because it looked nicer than the alternative? Of course you have. For any business, competition is always high. The chances are that consumers are simply attracted to the one thing that makes the product stand out over another – and that thing is most likely a good, strong design. As a proven selling point, we can help your brand stand out with intentional design decisions. Strong visuals can also make your brand memorable and can help trigger memories to keep the brand fresh in your mind. Furthermore, if your product/service is considered to be `technical’ or ‘difficult to understand`, effective visuals can act as a translation service – which simplifies complex language and helps to explain exactly what it is you are offering. Your business doesn’t have to be within the creative industry or even have an ‘exciting’ product to have a strong identity. With our creative skills, expertise and experience, we are able to offer creative solutions for any industry, no matter the product. Even if you can’t see a way that your business can be creative – there is every chance we can. After all, it’s exactly what we’re here for. 5 top tips to make sure your business starts on the right foot this year. January is a popular time for companies to reflect on their current position, review their performance and take a look at their company image; however, we can get carried away in January and want to take on everything at once. Although this may be tempting to try, you should always invest in support when it comes to unfamiliar areas. Whether you are considering a refresh or a whole new rebrand, the new year is the best time to start focusing your time on new goals. First of all, we advise conducting a brand health check before confirming how you would like to move forward. This will help you think about all the elements behind your brand image and reflect on their success in the previous year. These results can then help you decide whether a refresh or a rebrand is the right decision for you. Booking a free consultation with one of our graphic designers will allow you to sit and chat casually (over a cup of coffee) about your brand’s future. We can conduct a brand health check for you and, with our branding expertise and knowledge, advise you on the best way to move forward and work together to achieve your success. Additionally, we can start to think about how to give your brand substance and enhance the added value behind it. This can be done by designing printed material, producing marketing collateral that addresses your brand values, and working on a consistent brand image. All of the services mentioned are, of course, something that we offer and can help you achieve this year. Last year saw several rebrands: from the extreme, which included name changes and unrecognisable logos, to more subtle facelifts that help breathe new life into a brand.Firstly, Uber announced a full rebrand in September last year, shifting to a new, simpler logo, just “Uber” in a custom sans-serif font. Secondly, Weight Watchers, or as it is known now WW, also debuted its new logo, branding and name in September last year. The brand’s new tagline, “Wellness that Works” is intended to represent the brand’s renewed focus: health, fitness and feeling your best, rather than losing weight. Finally, Debenhams the department store revealed a brand new identity – this was one of 2018’s biggest rebrands. Debenhams had used its previous identity since 1999 but the dynamic new look aims to show how much it has progressed since then. To learn more about where to start with your branding, you could take a peek at our ‘10 Brand Elements and What They Mean’ blog HERE or ‘Brand Guidelines: What Are They and Why Do I Need Them?’ blog HERE. Storytelling is an effective and powerful technique that builds relationships – it doesn’t matter if you’re a small business or a huge enterprise, a brand story gives volume to your voice. From a scientific perspective, stories are designed to create emotions. We love them because they prompt chemical reactions in our minds that help us to feel pleasure, empathy and interest. For example, a story about a small business that made it to the top makes you naturally want to root for them. However, we understand that every business is different; some companies are naturally more entertaining and interesting than others. But, if there is a market for your business, then storytelling to your targeted audience is always a way to make your content more engaging, whether it’s the content on your website that shows the background of your company or the content that you post on your social media channels. We can help make your branding consistent, engaging, and tell your story through effective platforms that suit your target audience’s needs. For example, if your target audience prefer to engage with printed material, we can design and print leaflets, business cards and brochures that tell your story consistently. Our website details a list of print and creative marketing services we offer. Click HERE to view them all. To further support how important we believe brand storytelling is, we published a blog on our website titled, ‘Your Story Starts Here’. Click HERE to read more and discover the advantages an effective brand story could have for your company. 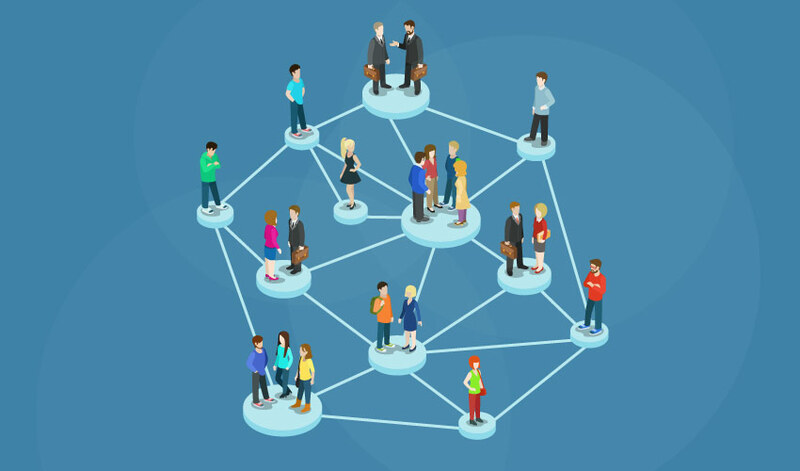 New year, new faces, and new connections – networking can be an effective key to business growth and success. Attending networking events in 2019 may seem to be a daunting challenge, but consumers buy from brands that build relationships with them – we can provide you with all the essential tools you need to be prepared and organised for networking, such as; printed brochures, business cards, and leaflets to hand out to your new connections. Our sales reps would encourage people to start networking to expand their reach, get recognised and enjoy the benefits of growing your business through recommendations. We all know that in business it is a great feeling being recommended by somebody, or even just receiving a positive review. These two things give us a sense of pride and achievement that our hard work is paying off – comparing this to networking; you are surrounded by a group of people that make it their mission to recommend you. Additionally, by regularly attending networking events, this helps get your face known in the community, providing you with a great source of connections that can really open the door to talking to highly influential people in the future. If you would like to learn more about networking click HERE, to read our ‘Power of Networking’ blog. 4.Focus on updating your online presence. If you are not making the most of your social media, you’re missing out on a fast, inexpensive and effective way of reaching almost half the world’s population. Furthermore, social media can help you humanise your brand and build real life connections with your customers. This adds value and trust to your company image and highlights how your customers are benefitting from your brand. As well as building connections with customers and potential customers, social media can also be a great platform for sharing your knowledge and expertise. For example, if you specialise in ‘education branding’, then you can share statistics, insights, articles and much more that show your expertise in this area and attract attention. Additionally, social media posts and ads are key ways to drive traffic to your website. Sharing great content from your blog or website to your social channels is a great way to get readers as soon as you publish a new post. Did you accomplish all the goals you set for 2018? Did you underperform in some key areas? Are you hoping to do better in 2019? Everyone wants to set big goals for their business and a new year is a great time to reflect and create new goals. 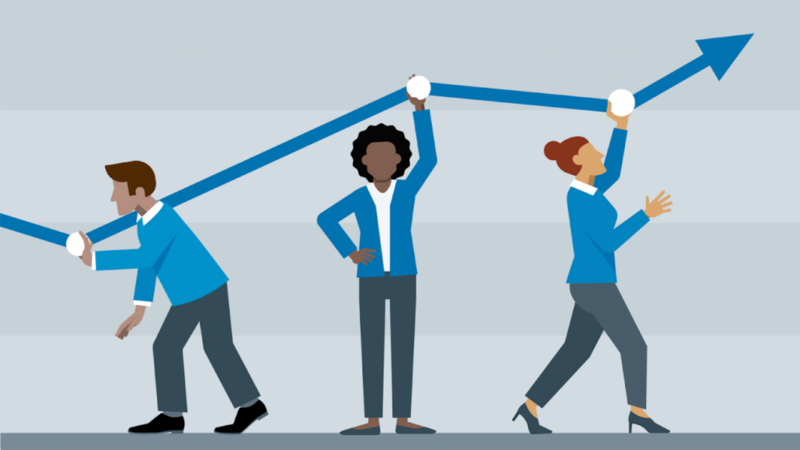 Everybody wants to double their revenue over the next six months, hire 10+ new employees to help them reach new heights. It’s ok to set aspiring goals, but in return you need to be realistic when doing so. Therefore, if one of your goals this year is to focus on your branding and marketing more, then we can help you set and achieve realistic goals that help you succeed. Following a brand health check, free design consultation, and basically a good old chat, we can offer our solutions and services for you to meet your 2019 goals. And finally: what are you waiting for? Let’s start today to achieve your business goals. And finally, what are you waiting for? As 2019 is quickly creeping up on us all, it won’t be long until we are in the month of January and 2018 feels like a distant memory. Therefore, we wanted to acknowledge and somewhat celebrate everything we have achieved as individuals, as a team and as Media Village this year. Whilst reminiscing on the events and memories of this year, we realise that we have had quite an impressive year! So, let’s start with the fact that six new faces joined our team this year and what a difference they have made! April 2018 brought us the arrival of a new Marketing Executive, Amy Hughes. 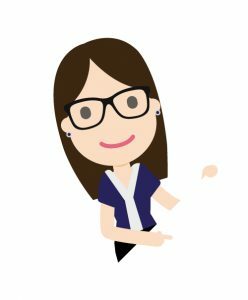 Bringing our social media to life, creating campaigns and promoting the Media Village services is all part of Amy’s role. Paige made her place in the Proofing department; with a keen eye for detail and her own creative flair, Paige quite quickly became a vital member of our team. As well as proofreading, Paige has a passion for playing netball and is also an amazing artist! 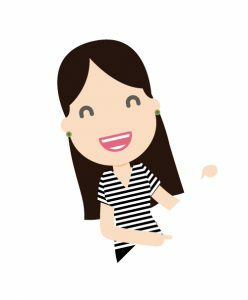 Melissa joined our Accounts department and does an amazing job in controlling the finances and keeping everything running smoothly (oh, and paying us all on time!). Although Molly is now our youngest member of the team, at just 19, her graphic design skills and knowledge contributes to the team’s success hugely. Harrison also claimed his well-deserved spot in the studio; having recently graduated with a degree in Graphic Design, his knowledge and his own unique design style adds a fresh approach to the studio. July brought us a new addition to our Sales team, Stuart. We soon realised that Stuart knew anyone and everyone, so it wasn’t hard to have a good chat and get along with him! Colm ( who’s character is currently pending) joined our printing/production team and now works alongside Neil in our Photomechanical department. With brand new team members and an ever-growing creative team, we needed more space! After months of hard work, physical labour, loud noises and re-assembling, this year marked the year we created our own brand new office environment – and what an office it is! When choosing the design of our new office environment, we engaged the whole team in adding bespoke desks, personal office decor and a new open-plan space that would increase collaboration. This was a momentous moment of 2018 that all our team had worked hard to achieve, and wow, did it pay off! You can read all about our brand new office space in the recent press release. We know that 2019 will involve showing off our new home, hosting networking events and making the most of our new space, so watch this space and wait for your invite. 2018 also brought us the investment in new printing technology in order to meet our customers’ needs. We are now home to a brand new Konica Minolta, which enables us to print up to 630mm wide, and the potential this has given us for future and current print jobs has been very exciting. We attended the LBV Sub 36 awards all thanks to our Studio Manager, Nathan Littler, who was successfully nominated for not one, but TWO awards. So he dug out his best paisley shirt and we headed to the famous seaside resort of Blackpool to attend this prestigious event at The Winter Gardens. Nathan was nominated for Employee of the Year Award and Customer Champion Award; although he wasn’t successful this year, who knows what 2019 will bring? And with Nathan’s determination and passion for design, who knows what he may achieve? But that’s not all: as well as attending an awards ceremony as nominees, our Production Director, Aaron Shread, also did a bit of judging (and BIBA bending) this year. Aaron was asked to be an official judge at the BIBA awards; he officially judged the Leisure and Tourism award. Giving birth! 2018 brought us TWO new Media Village babies, with our Account Manager, Lauren, giving birth to a gorgeous little boy named Freddie. It is clear to see that Freddie hasn’t struggled to make himself at home in our offices. Secondly, our Photographer and Studio Manager, Michelle, gave birth to a beautiful girl named Ebony Mae, which of course meant our MD, Steve, had another beautiful granddaughter to welcome to the world of print and design. Ross took his well-deserved place as Vice President at his BNI group. His group made some amazing achievements this year! 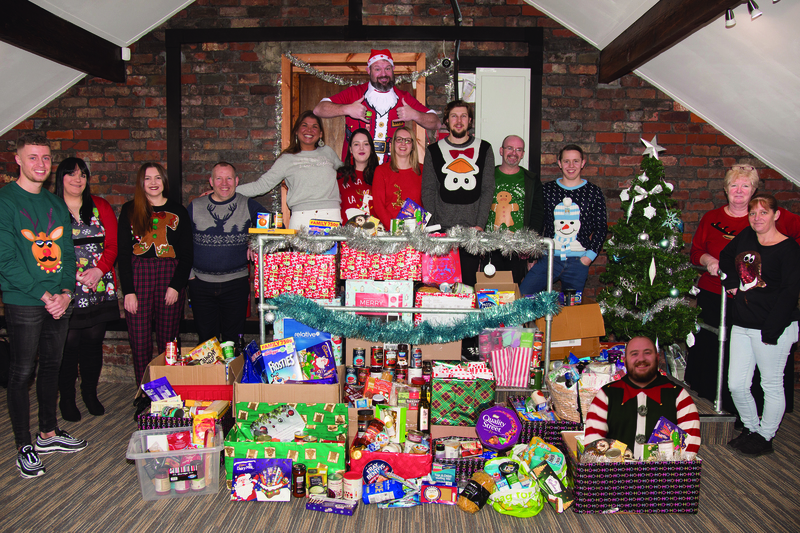 We organised, collected and donated a grand total of 868 meals to Blackburn Foodbank this Christmas! Additionally, Sara also went on the trip of a lifetime and travelled around America. You can see some of her amazing photographs from this trip here and on our social media. 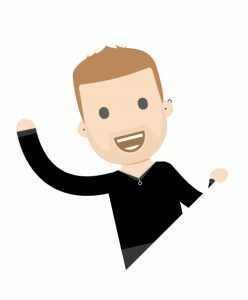 Tom, our former Account Manager, said his goodbyes this year and moved to the other side of the world to pursue his travelling ambitions. Although this was a huge loss for the Media Village, we wish Tom all the best on his travels and hope to see him back in our new office one day. 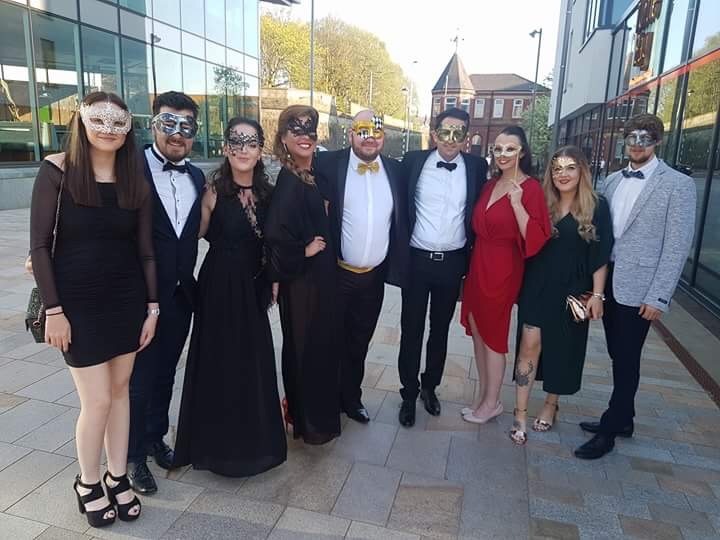 In between all of that, we did this..
We attended a Masquerade ball organised by The Mall Blackburn for their Retailer Awards of the Year. We work very closely with The Mall Blackburn, providing them with signage, advertisements, print and design work. Therefore, it was great to be invited to such an amazing event. We got our quiz on at the annual BYZ Quiz Quest in association with Cummins Mellor. We had prepped for the big moment all year (mainly in the pub after work on a Friday) and our team did us very proud finishing in the top 10. Successfully hosted and organised a #BigBrewUp and ate lots of cake – for a good cause, of course! We raised £170.00 for SSAFA charity, which if you are not aware of is a charity for the armed forces. With our military background and Steve Shread, our MD, being a loyal member of the Royal Navy for many years, this charity was very close to our hearts. We turned 21 this year so we looked back on our history, what we had achieved and celebrated our 21st birthday! You may have heard of brand archetypes before, but have you ever stopped to consider how they apply to the success of your brand? Or even how they could influence your strategy and communication? When used correctly, brand archetypes actually have the power to help identify your brand’s best features. However, it is understandable if you have never come across the word archetype before, as this topic is still widely undiscovered outside of the marketing world. The definition of an archetype is a collectively inherited, unconscious idea/pattern of thought or image universally present in individual characteristics. Sounds really complicated, right? But, you can find a modern example of an archetype by just looking at a character in the latest blockbuster or bestselling book. 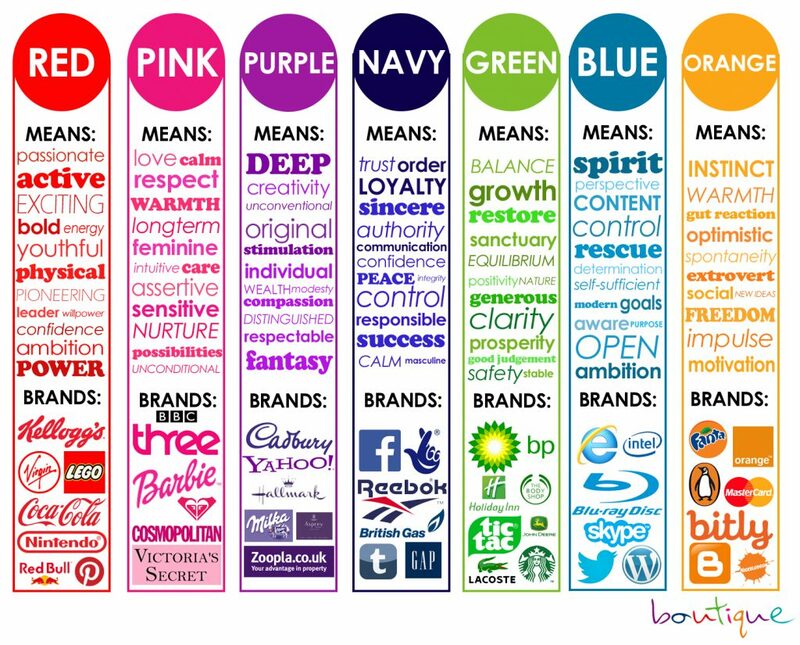 For example, some people may go as far as saying that they “love” their favourite brands, that their connection with them is based on feelings. But some may say it sounds stupid to say that you have feelings for a brand and never understand this statement. However, the answer lies in how that specific brand makes you feel, the way they communicate with you, and the values that brand holds. Some of the most loved brands are successful because they tailor their communication through personality that satisfies the consumer and evokes positive feelings. In the marketing world, a brand archetype is a genre you assign to your brand based upon symbolism. This can embed your brand identity, assign brand culture and guide your brand strategy in order to be successful. 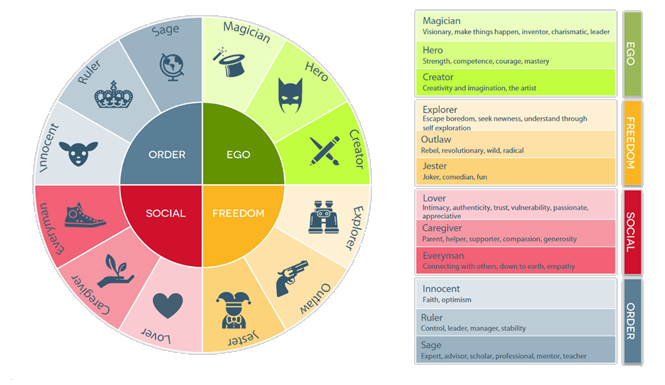 Carl Jung, a psychologist, is the main person responsible for creating the 12 brand archetypes and documented them in his book, `The Hero and the Outlaw`, which brings the personalities of the 12 archetypes to life. Secondly, by determining your brand’s archetype, you give it a personality and meaning that can be portrayed to your target audience successfully. After all, today’s consumers don’t just buy products, they are much savvier; they buy the meaning and the reputation behind the brand. Therefore, today’s consumers create a brand persona: a personality behind that brand that influences their decision whether to buy that product or not. Furthermore, leveraging your brand archetype is the most powerful way to unlock its true potential and aid you to building a successful marketing strategy. Consequently, we understand that finding your voice as a small business and deciding on your personality for the future can be difficult and appear to be an extremely daunting task. However, once you have found the archetype that suits your brand, your marketing department can begin to talk the way they talk, share what they share and embrace the personality behind your brand to add further value for the consumers. Sticking to one brand archetype can save you time, money and help you interact with your customers more successfully. Some design and marketing agencies will charge a fortune to create a unique persona for your brand; however, it needn’t be that complicated (or expensive). You can book a FREE design consultation with our team; we can sit down and chat about what makes you, you, and decide together which archetype suits your brand well enough to be successful. The earlier on in your company’s journey that you uncover your brand’s true identity – the character your brand is meant to live out – the sooner your team can begin living it, and leaving a lasting impression in your audience’s minds. As it’s December, we thought we would make this blog a little bit more festive by using some festive character examples, in order to explain these archetypes more easily. The first archetype is The Innocent, and their main priority is to simply be happy. they are brave and determined. The first character for the Innocent archetype would be Mr Poppy from the film, The Nativity. Anyone who has seen this movie will understand that Mr Poppy’s main priority is certainly to be happy; providing positivity, a sense of fun, and very strong values when it comes to entertaining and caring for the children at his school. Companies that adopt the Innocent archetype normally have similar traits to Mr Poppy himself: strong values, trustworthy, reliable and honest. Therefore, an example of an Innocent company would be Dove. The main priority of this archetype is to connect with others; they are down to earth, show a sense of belonging and the common touch. In a company form, at their best they are friendly, empathetic and reliable – appreciating quality and dependability in their brands. They prefer the familiar to the strange and will emotionally invest in brands that they trust. For this archetype we thought of Arthur Christmas, a seemingly regular guy who is friendly and reliable. An Everyman character like Arthur Christmas tends to demonstrate the ideals of hard work and honesty, and embrace common sense values. A company of this archetype would not promote ‘luxury’ items or buy items to boost their status level; they simply just appreciate quality and reliability in their products. This particular archetype is bold, strong and confident; in terms of a brand they have a positive impact on the world and their customers. The customers of these particular brands value quality and efficiency in their products. The stereotypical customer of these brands feels empowered by this brand and its impact on the world. In relation to Christmas, we chose Jack Skellington as our Hero archetype, as he is a character who wants to help improve his world and we think could be influenced by strong, powerful brands. Jack follows the formula of a tragic hero; he tends to be enthusiastic, inclusive and expresses his opinions in order to cause change. We would say that Nike is an example of a Hero company, as they strive to make an impact on the world of sport. Known for its ‘Just Do It’ campaigns, Nike pioneered the way for regular people to step into the shoes of their athlete idols. Advertisements ask customers to step outside of their ordinary worlds to reach the peak of performance; they ask customers to stop being fans and start pushing them to become stars again. Superman, Wonder Woman and Batman are known as Hero archetypes; they thrive where challenges await them and make the world a better place by ‘fighting the bad guy’, Nike carry the persona of thriving when a challenge awaits them – their famous slogan, ‘Just Do It’ is a prime example of this. Known for being rebellious, wild, and paving the way for change, Outlaw brands are noticeably different and don’t like to follow everybody else’s rules. The customer personas of these brands appreciate the unconventional and forcefully reject anything seen as traditional. Our Christmas character for this archetype would be The Grinch, of course – a clearly out of control character who strives to break the rules and fight authority (or just simply anything Christmas). Comparing this to an existing company we would say that the nearest company for this persona would be Virgin. Firstly, just the name of the company itself is outlandish and rebelling against the boundaries of acceptability – bearing in mind that this would have been an incredibly rebellious name back in the 80s. Whatever industry Virgin have been part of, whether it be banking, travel, entertainment or communication, they have been one of the most disruptive brands with an incredible curiosity to become early adopters of pretty much everything! The Explorer archetype stems from a need to be individualistic and have purpose or meaning. This archetype strives to answer the questions “What am I here for?” and “What is my purpose?” by exploring and learning from the world around it. Adventure is a means of enlightenment and the Explorer is focused on self-discovery and self-sufficiency. Our festive character for this archetype would be Hero Boy (Chris) from the movie Polar Express. This Christmas movie is all about an adventure, exploring and the desire for discovery, therefore the main character Chris would fit the Explorer archetype perfectly. An Explorer consumer is always looking for new experiences to make them feel alive, to strive through their independence and to have a promise of adventure. Red Bull is a great example of an Explorer company; they are pioneering, adventurous and are the complete opposite of corporate. They are well known for sponsoring adventurous and extreme sport events that match their personality. Tending to be critical of the establishment, the Explorer desires to be free from constraints; but instead of challenging the establishment (as a Hero or Outlaw might), the Explorer simply goes off in a different direction, seeking a new path. Ultimately, all it desires is the freedom and joy of discovery. They can also be known as the inventor, artist, writer or even an entrepreneur. Their main aim is to create something with meaning and enduring value. A Creator company promotes self-expression, gives customers choices and helps foster innovation. If your organisation has a creative culture and you want to help customers express their imagination, you should follow a Creator marketing strategy. Our festive character for the Creator would be the Christmas elves, the best toy designers and artists around stimulating the imagination of the children to create their gifts. An example of a Creator company would be Lego; it is almost self-explanatory as to why we have used this company as an example of a Creator archetype. Its famous product is one of the most popular creative toys in the world and the company’s mission “to inspire and develop the builders of tomorrow” proves that the brand is truly committed to developing the creativity of children and stimulating their imagination. Therefore, if you thought the Creator is the brand archetype that you should approach and portray then you could start by working on creative designs, prints and spark imagination through your creative branding. The Ruler archetype creates order from chaos, is seen as a leader and a role model. A great example for The Ruler would be the Queen her majesty herself, linking her to the Christmas theme with her royal speech every year on Christmas day. It has become tradition in most UK households to sit and listen to the Queens speech. An example of a Ruler company would be Rolex, a sophisticated brand that is one of the clear leaders in their industry; they have dominated the industry for high-end watches for over a century. The image of a Rolex promises power and the status associated to it aligns with the traits of a Ruler archetype. Therefore, it is obvious that Ruler consumers are typically concerned with image, status or prestige products. They are drawn towards Ruler brands to use their products to influence how others perceive them. It empowers people to maintain or enhance their grip on power. You want to differentiate it from more populist brands or one that is a clear leader in the field. It makes people more organised. The eighth archetype is `The Magician`, known for being visionary, imaginative, and inspiring change. A clear company example of this would be Disney, making magical moments come true for everyone. Of course, the most magical festive character of Christmas is Father Christmas whose main aim is to make dreams come true. If your brand suits The Magician identity, then your consumers may like inspirational messages and images that can help foster their imagination. For example, taking a look at Disney’s branding you can see these characteristics stand out in their tone and image choices. The Magician could be the right identity for your brand if the product or service is transformative, helps people transform their world, inspire change and foster imagination. As you can tell from the title, this archetype is all about creating relationships and evoking emotions. anything that pleasures the senses – beautiful things, indulgent foods, perfume. Sam from Love Actually would be the perfect example of `The Lover` archetype. His dedication to seek Joannes love and the efforts he goes to just to create a relationship with her , shows his loving characteristics. An example of a company that uses the Lover identity would be Dior, who promote themselves as glamorous with an emphasis on sensual pleasure. The typical lover consumer wants to feel special, valued and they want brands that love them back. If their needs aren’t met, brands risks losing them to a competitor that can make them feel special again. Also, Lover consumers are likely to be drawn to premium brands that will make them seem more attractive to others. or offer a caring service in some form. Brand categories that typically exemplify the Caregiver include insurance, healthcare and baby products. The festive character we would associate with this archetype would be Cindy Lou Who. She is a caring, protecting character that always sees the good in people – even the Grinch! Her personality and empathetic nature would show clear traits that make her a Caregiver. For example, Johnson & Johnson’s ads appeal to the Caregiver archetype because their products are affordable and needed for at home care. They feature mothers, who are prominently the biggest care-giving character, routinely using their products to provide comfort for their babies. If your brand supports families, offers a service which could be seen as caring or protecting, or is a non-profit charity, then your archetype would certainly be the Caregiver. By showing that you are caring for others, this builds trust and reliability in your brand to provide what they promise. Therefore, this should be a main brand value for the company; otherwise it may cause some confusion. As the name demonstrates, brands that adapt this persona like to bring joy to the world and fear boredom over everything. Jester brands motivate people to see the value of having fun, connecting with their inner child and standing out from the crowd. Our festive comparison for this archetype is Olaf from the film Frozen, who I think we can all agree is definitely a Jester character. They also have a strong ability to think outside of the box, which means that their ideas are normally very creative and innovative. Additionally, Jester brands promise entertainment, light-hearted content and a good time. The marketing of Jester brands may be unconventional, some may even say unprofessional, but the bright coloured, high energy content they produce fits their target audience perfectly. Jester brands are normally associated with younger people, for example Smiggle, the stationery store, whose motto is ‘Where a smile meets a giggle’. However, there are some Jester brands that no matter what age you are still promise to release your inner child. For example, Skittles, their adverts are anything but boring and use a playful, unusual marketing strategy that attracts customers. Finally, the last archetype is the Sage and their main goal is to help the world gain wisdom. Sage brands promise learning, teaching knowledge and are normally a source for information. Our festive example for this archetype would be Clarence from It’s A Wonderful Life, Clarence is like that hilarious uncle but he is also incredibly wise! He provides support, learning and teaching to George to show him just how wonderful life can be. The voice and vibe of these brands are normally analytical, informative, factual and researched. They normally also publish statistics and provide facts. The Sage brand archetype seeks the truth and wants to find the good and the wisdom in all situations. Sage brands will promise learning and teaching knowledge and therefore will often make use of their higher levels of vocabulary or symbolic imagery. Guided by truth-seeking, the Sage is most fulfilled by finding answers to the most challenging questions. Whilst demonstrating intelligence, knowledge and keen problem-solving skills, Google is probably the most significant Sage of our time. Customers of the Sage believe that knowledge and information comes from growth and is constantly looking for new sources of information. Customers are likely to be drawn in by advertising that challenges them to think in a completely different or new way. It provides expertise or information to customers. It encourages customers to think. It can be supported by research-based facts. Wants to differentiate themselves from others, whose quality or performance is suspect. Helps people to better understand the world, provide practical information and analysis. Another example of a Sage company would be BBC News, their main motto is to help people understand and provide help. As soon as it hits mid-November all the big names start releasing their long-awaited Christmas adverts, the prime players have been preparing for this moment all year and the engagement they receive never seems to disappoint. However, for a small business creating a blockbuster advert is clearly out of the question, and the budget. But, there are lots of effective ways to build small Christmas quirks into your marketing that promote your name and please your customers throughout the festive period. Studies show that consumers are more receptive at Christmas, their general mood increases and they are more open to new opportunities. Therefore, this is the perfect time to hit your customers with some memorable Christmas marketing they can’t ignore. It is obvious that feeling and emotions are linked to Christmas marketing and most of the big names concentrate on evoking emotion through their adverts. For a small business, this can be done through meaningful content targeted to evoke the right emotion from your target audience. The success of a Christmas marketing campaign can have both short-term and long-term effects in terms of showing an increase in sales and profits. The more popularity and buzz generated by an advert, the longer the impact it has on the brand. For example, John Lewis estimates that since 2012, its sales have increased by more than 35% thanks to the success of their Christmas advertising. Christmas marketing differentiates you from other companies. As a small business we know it is important to stand out from the crowd, dedicating your business to producing Christmas marketing over the festive season can differentiate yourselves from other businesses, for example, by running a Christmas campaign, promoting Christmas offers or even just sending your customers a personalised Christmas card. By producing this sort of material and content it gives customers and potential new customers a reminder of your business and what you offer. For example, sending company Christmas cards adds that personal touch that your competitors may have missed the chance to offer. Therefore, your branding can be up in their office for a whole month, which is great brand exposure as well as a relationship builder with clients. After all, it is always nice for somebody to take the time to send you a Christmas card, so we feel like this is an instant reminder of this gesture for the company. In fact, according to BPMA (British Promotional Merchandise Association) 89% of the pens on your desk are in fact promotional pens, 65% of the mugs in your office kitchen that you’re drinking your coffee out of every day are promotional mugs and 54% of desk calendars in the office are personalised. As a result, all of these are being used on a regular, daily basis extending your brand exposure and making a memorable impression on the consumer. 71% of people who received promotional merchandise were able to remember the name of the company that gave it to them. Therefore, as a small business you can add that personal touch during the festive season by offering free promotional items to your customers. Not only is this a great personal touch that will make you remembered, it is also getting your brand exposure out there! But everybody loves a freebie don’t they. What makes Christmas calendar printing so powerful? You’re giving your customer a useful item they will use all year round. Whether it’s a printed wall planner for the whole office or a desk calendar for an individual, a calendar can act a reminder of your business all year round. Tip: Why not add reminders of your seasonal offers to your calendar or tips related to your services. For example, if you are a marketing company you could add a list of national days to the calendar. You should also think about the impression you want to make: double page calendars are great for visual impact, recycled calendars make a statement about your environmental credentials and desk calendars are great for everyday brand awareness. 12 days creative Christmas content can raise your profile immensely. We all know that storytelling evokes emotion, whether it is through branding, design or your company values. We can help you tell your story through consistent logo design, branding and targeted content that speaks to your audience. It is also said that print can also promote feelings of nostalgia and emotion, as we are living in a highly digital world and we try and consume at least 10,000 words on a screen daily. Therefore, receiving printed marketing material can add value and evoke emotions of happiness especially during the festive period. Personalised content can impact sales more. There is a lot of cost-effective material that can be personalised and distributed during the festive period. 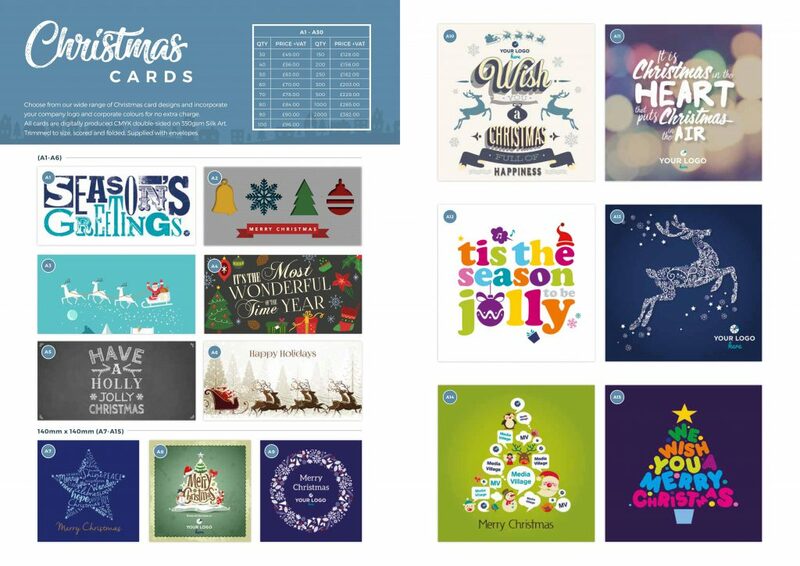 For a small business this can have a positive impact on sales, as it shows the receiver that you have took your time and effort to send that valued customer a personalised Christmas card. Overall, Christmas provides an opportunity for lots of businesses to get noticed, the effects of a successful Christmas campaign can go way beyond the seven week run up to Christmas. It’s not too late to invest in some personalised marketing material for your company this Christmas. 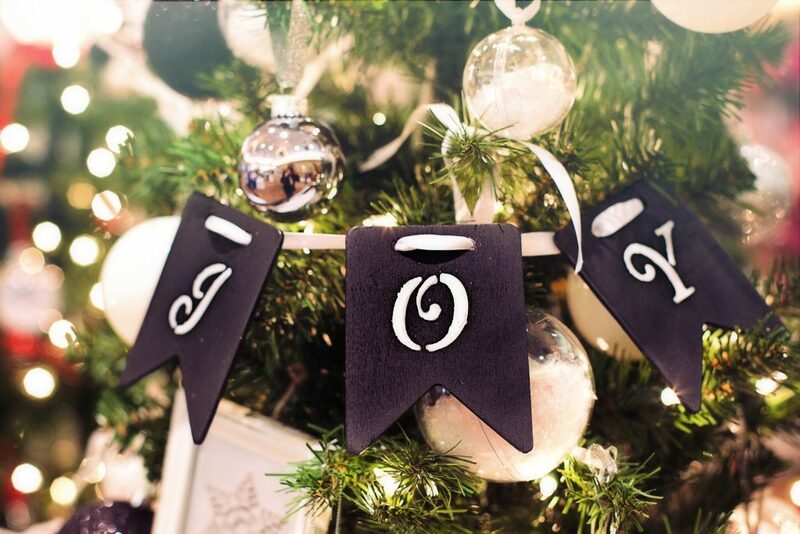 If you would like to get your business name out there this Christmas, create awareness for your brand and just spread the festive cheer to your customers then please get in touch. 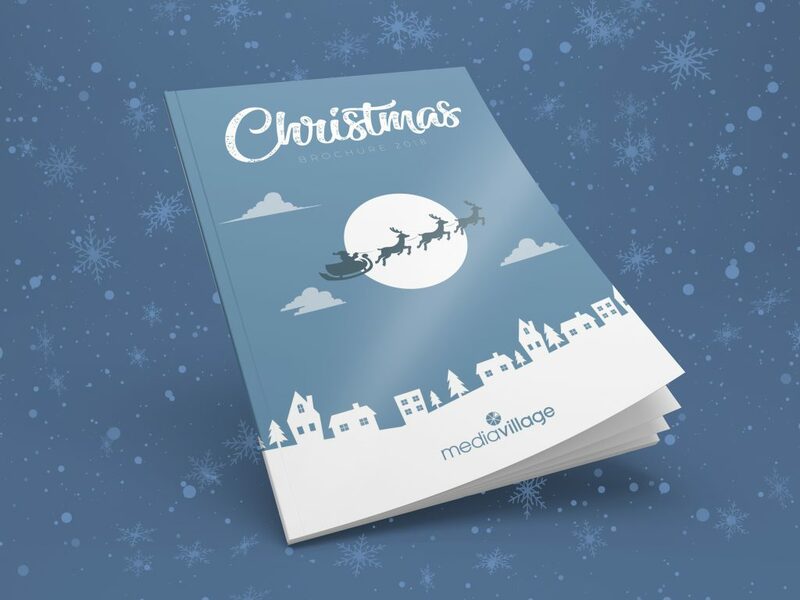 We can help design personalised Christmas cards, marketing material and help you make the most out of your branding and designs. and email us any designs you may like to personalise with your logo/ branding. 10 branding elements and what they mean. If you’ve never thought about branding before, you may not be aware that there are ten different brand elements to think about. So, let’s start with the basics and define what a brand actually is and why they are so important to any business. Let’s throw in a bit of history for you here: it was more than half a century ago when the term “brand” started to become apparent; believe it or not, it was used as a way for cattle ranchers to identify their animals! However, today, a search on the internet can give you a range of diverse definitions as to what a brand actually is. For example, some agree that it is “the emotional and psychological relationship you have with your customers”, whilst other might define it as a “type of product manufactured by a particular company under a particular name”, or even the “name, term, design, symbol or any other feature that identifies one seller’s product distinct from those of other sellers”. We say: “A brand is the personality of a business”. Why is this so important to a business? A strong brand can make a memorable impression and it enables your customers to know what to expect from your company. It is a way of distinguishing yourself from your competitors, helping you stand out from the crowd and build loyalty surrounding your brand. Therefore, it is important that branding is not just overlooked, as it can position your company and tell your story in a successful way. So, let’s take a look at the ten different elements of a brand and what they stand for…. So firstly, let’s take a look at brand identity and its importance. So what is brand identity? Brand identity is the way people recognise the brand. It may be through the logo or other associated visuals. For example, the ‘Swoosh’ logo of Nike is very simple, but is immediately recognisable worldwide, along with its strap line, “Just Do It”. When creating your brand identity it is important to follow and create some brand guidelines, to make sure that your branding and the message you are portraying is consistent throughout. Your brand identity is built up of many different attributes such as: logo design, colour scheme, key message, typography, and other elements that add to the way consumers visualise your brand as a whole. Secondly, how do people picture your brand in their mind? What is the image associated with it? The brand image associated with your brand can dictate how people perceive your brand and this can either be in a good way or bad way. For example, many brands have suffered from a damaged brand image, which as a result can be hard to change the consumer’s perception. A successful brand image is developed over time through your logo design, tone of voice and the way your company portrays itself. However, this brand image can be tainted within minutes through a misleading advertisement, a bad branding or design choice, or a controversial post with a misleading view. The brand image also dictates what consumers expect from your brand. Consumers of Rolls-Royce, for example, are looking for high luxury products and expect high quality service; even if there is a gap for budget cars in its market, it would not stick to the overall brand image by offering this type of product. As a result of this, it may lose its branding demographic and some of its targeted audience may change their perception of Rolls-Royce. Do you differentiate your brand in some way? How? What are your brand’s unique values? Does it produce a clear picture in your mind? Is your brand believable and trustworthy? Your brand personality is just like the personality of human being – we all have different unique qualities that make up our own personality. However, your brand personality can be whatever you want it to be, whether that may be empathetic or even intelligent. Every element of your brand identity that we talked about before, including the colour, brand name, typography and brand positioning, adds and builds up your personality for others to see. Have you ever noticed that although two brands might offer the same service or sell the same product, for some reason you relate to one brand better than the other. This may honestly be down to taste or your own personal preference but this can also be down to the personality of the brand and how you feel when you come across that brand. It is more than common for new business owners to be unsure of the brand personality they want to portray to the world, as this can be seen as a daunting decision to make. However, our team of graphic designers have experience and expertise in branding and developing a new brand concept for various businesses comes as second nature to them. Our free design consultations consist of brainstorming ideas together, understanding your goals and creating a successful brand that stands for everything you stand for. Brand equity is the value of a brand. It may include tangible financial value such as market share and revenue as well as intangible aspects such as strategic benefits of the brand. For example, Apple is a major technology brand and people perceive it is a premium, cutting-edge manufacturer of quality products. So, it is not only the sales but the sheer image that takes the equity to a different level altogether. Positive brand equity can help a brand in many ways; it can be a strong catalyst for leading to brand extension and helping to develop a strong, trusting brand image. By strategically investing your marketing budgets in initiatives that help add value to your brand, for example additional services, contributions to charities or other additional perks, this can help drive short-term results. Brand experience is all about how the customer feels when they interact with your brand -this may be a visual experience, a taste experience or just the feeling they get when they come across your branding. Also, if this is a service brand it may depend on the staff behaviour, the environment in which your service is offered, and the standard they expect when associated with your brand. When consumers come across the Media Village brand we want their experience to be flawless and memorable. So we highlight high customer service as one of our main priorities within the Media Village. We like our experience to be flawless, efficient and sticking to any deadlines given to offer the best customer experience. Brand touchpoints are an effective way of perfecting the brand experience journey for every customer, making the most of every user interaction with your brand. Customer touchpoints shape a customer’s perception of a brand. These perceptions shape brand identity as much as the work of any designer or brand manager. After all, brand identity is all about what the customer thinks – not what you think. Customer perceptions are created by a series of touchpoints: the interactions customers have with a brand. Make a list of all of those touchpoints that you know exist. They might include the supermarket, radio ads, your salespeople, and social media. Name your brand’s most valuable touchpoints. This will require data analysis to follow the progression of every sale, from contact to conversion. Which touchpoints are most overwhelmingly present? Which ones serve to advance clients through your sales funnel with the greatest efficiency? Once you have identified these touchpoints, capitalise on them. We can help you to design and develop a consistent brand that can be transferred across every touchpoint in your customer journey. These may include radio adverts, social media posts, billboard designs, leaflets and signage. Perfect your brand experience and this can lead to great successful reviews for your company. Differentiation, as the word suggests is how a brand stands out in the crowd. For instance our brand at the Media Village stands out in the creative and print industry as we can offer the full creative marketing solution all under one roof – which not many people can offer. So this is an additional service that differentiates us from our competitors. Creates value, justifies your decisions. But you can also differentiate your brand from the elements we have mentioned earlier, such as visuals, customer experience, logo design, communication, key message etc. Brand communication is the message it delivers through various sources like adverts, brochures, punchlines and hoardings. If the brand has to grow, it must be able to clearly communicate its core benefits to the customers. We can help you with communicating your brand message through various mediums and platforms from online to offline. Delivering a consistent, clear message that speaks exactly to the right targeted demographic and suits your brand personality. We work with a variety of different businesses that all have a slightly different way of communicating their brand to the public. For example, we have worked with Westholme School for a long time now and the relationship we have built together helps us to communicate their brand successfully. Click here to read all about how we communicate Westholme’s brand values and image through creative print and design. Brand gap is the difference between what a brand promises to deliver in its communications and what it actually does. For its own sake, the gap should not be very high. A successful brand must be able to deliver what it promises. No amount of advertising or content marketing efforts can save a bad product. That’s why our design studio arranges personal meetings with every client before we produce any form of branding content for your brand. This way we are making sure that there is no miscommunication or gap between what the brand is claiming to promise and actually delivering. The final element is brand extension, which basically means going beyond the brand origins and offering additional value or services to the customer. For example, the one main product that you first start offering may have room for additional services that you can offer once your brand is further established. Taking the Media Village brand as an example again, we started predominantly as a printing company, but over the years we have adapted our services to be able to offer additional value to our customers. This has eventually led to us being able to offer the full marketing and creative solution for our customers all under one roof. Our brand now offers print, graphic design, photography, web development – and much more. Once all the other brand elements have come in to place and you have established your brand more, this may be the time to consider a form of brand extension. We can help you extend your services but keeps the same consistent brand offering the same values to your targeted audience. Although there are many advantages with brand extension, there are also, like always, some negatives along the way. Not all brands are fit for brand extension and it has been known to lead to a misrepresentation of the brand persona that customers struggle to understand. For example, if the new product that has come from the brand extension fails then this can spoil the image and reputation of the parent brand. Take the ice tea brand Arizona as an example; they decided to launch a nacho cheese dip product. Thinking about this strategically, would their demographic of ice tea drinkers really be craving a cheese dip product? Evidently, this is why Arizona’s brand extension failed, therefore we advise when considering a brand extension to always include competitor research, think about the added value this product is going to bring, and consider the influence it might have over your established brand image. Book your free design consultation here, and let’s talk about these ten elements and much more, to make sure we tell your brand story in the best way possible. Book your free design consultation here and let’s talk about all these ten elements and much more, to make sure we tell your brand story in the best way possible. International Print Day 2018- Collaboration. Today is International Print Day and the theme is collaboration which highlights that when we work together, share ideas and create projects together the results are hugely rewarding. Effective collaboration can depend on many factors, for example, the environment you are working in. Firstly, the general workplace has changed from closed off cubicles to open plan offices, which means employees are able to contribute ideas to general conversations and build closer working relationships. This overall has improved collaboration across teams, promoting the sharing of knowledge and fostering general creativity throughout. Our brand new office combines a creative atmosphere alongside catering for social collaboration with an open plan layout. We actively encourage collaboration between the various departments in Media Village to perfect the customer journey for every order we process. For example, our account managers work closely with our design studio who then collaborate with the production team to deliver the final results every time. This effective process ensures that team members involved can talk through and be updated at each stage of the order, making sure everything runs as smoothly as possible. Providing equal opportunities and a sense of belonging within the team. Another form of collaboration takes place when referring to our partnership with Red-Fern Media, who are a website and development agency. Our strategic partnership combines both the worlds of print and digital which can allow us to effectively produce highly engaging projects together and offer our customers more incentives within the creative world. We have worked with Red-Fern Media together as strategic partners for over twelve years. Collectively we offer tailored advice and implementation for creative design, print and web-related services to all our clients. For example, through our collaboration with Red-Fern Media we have delivered a number of various online and offline printed campaigns for Westholme School and Swim School, helping them to tell their story through print, website design and much more. Our design studio collaborates with the web development team at Red-Fern to ensure that the branding for the project is consistent throughout all platforms online and offline. There are many options available for businesses to empower both print and digital into their marketing strategy. Print can help drive online traffic, strengthen your website and social media all at the same time. It also offers continuous exposure and the repetition of print increases the likelihood that customers will convert to your digital channels. There are many simple ways you can drive traffic online using your very own printed material. Firstly, just by adding your social media handles to your leaflet, brochure or poster you are giving the reader the incentive to look at your work online too. Secondly, you could add a QR code which can be added to just about anything from cereal packets to brochures. This simple method again bridges the gap between digital and print by combining both. QR codes can be a huge advantage for marketers too, as they are trackable and can provide valuable insights into your customers. Thirdly, many creative agencies are combining augmented reality with print and the possibilities are endless. By adding the scanable AR icon or an image, this can display content, pulling it through into the camera picture instead of diverting the viewer elsewhere. This feature creates curiosity for the reader which encourages them to scan the icon and adds value to the print for the customer. At Media Village, our graphic design studio collaborates with the print production team effectively every day to make sure that the customers’ requirements, that we more than likely received digitally, are reflected upon the printed material produced for them. To celebrate #IPD18 we have an extra 10% in quantity for all print ordered today including: personalised wall planners, mugs, desk pads, canvases, business cards, brochures and ANYTHING from our Christmas brochure. New year, new goals, new brand? | business blog| brand - Media Village on The power of Networking.